Words are Winged: It's a bird, it's a plane, it's... a paper fastener? It's a bird, it's a plane, it's... a paper fastener? 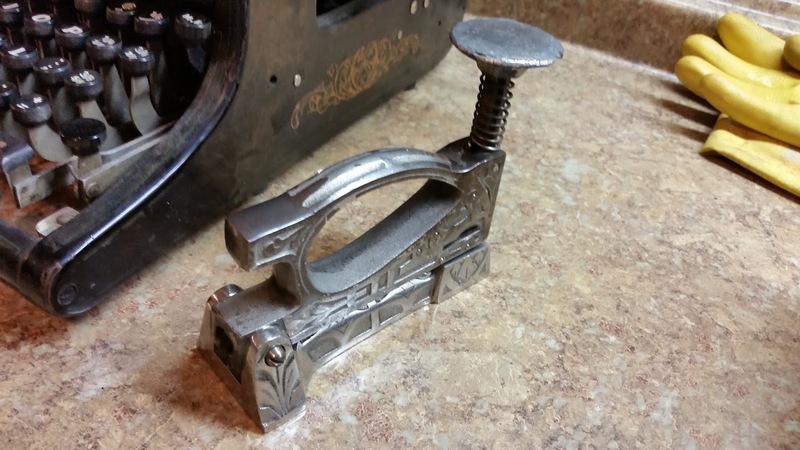 I was recently inspired by Mr. Munk over at his blog, "To Type, Shoot Straight, and Speak the Truth...", to try and find yet another "staple" of offices over a century ago to add to my collection: a stapler! Sometimes called a paper fastener. Failing to find one of the shorter Hotchkiss No. 1's or look-alikes for cheap enough, I went for this cheap and dirty thing..
An hour of vigorous scrubbing and polishing yielded a surprisingly clean and shiny stapler, which the lighting in the pictures doesn't do justice. 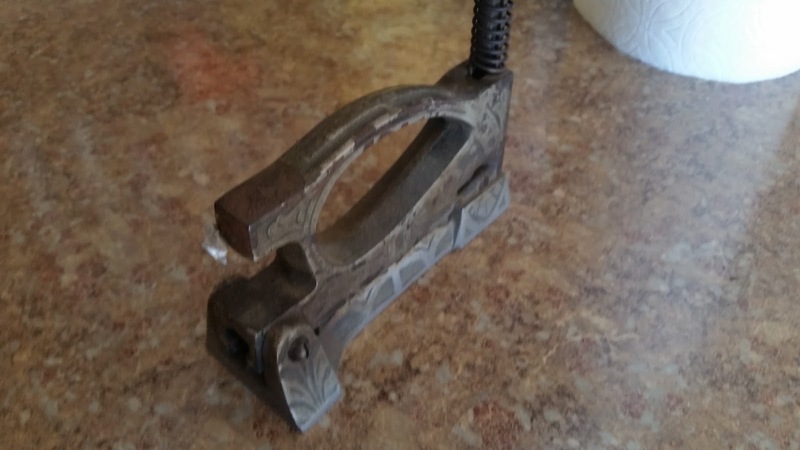 It's got a smooth feel to the pump, so all that's left now is finding some proper staples to throw in it. 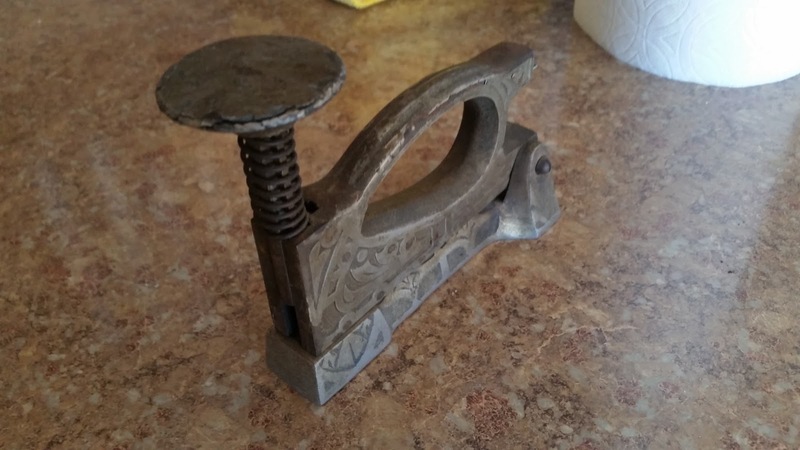 Great looking old stapler. I do not recall ever seeing one that ornate. I thought it looked pretty neat. 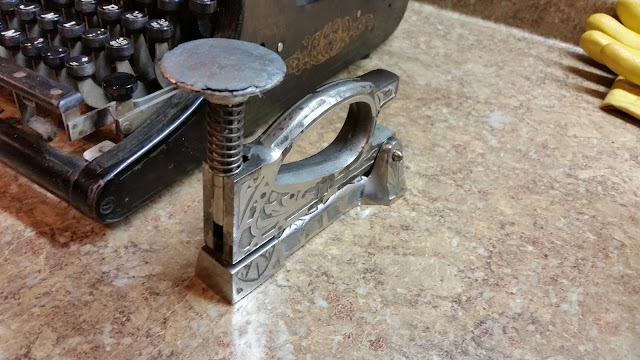 Alot of detail for just being a stapler.